From 27th to 30th November 2018, a group of people from different countries came to Sri Lanka to participate in an International Fact-Finding Mission (IFFM) organized by NAFSO. 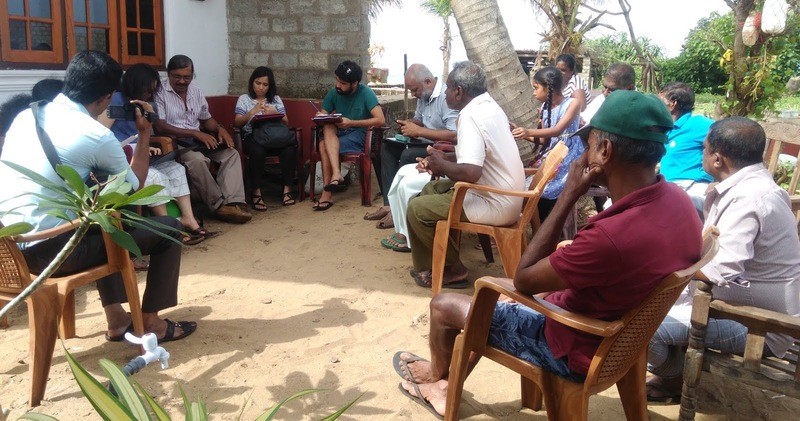 This IFFM consisted in collect as much information as possible about the problems that Port City Project is causing for the environment, the social and the economic of Sri Lanka. The participants met different fishermen communities, professors, lowers, experts and people in general who thinks that Port City Project is bad for the country. The information collected will be used to produce a report that will be published on December 10th, the day of humans right.